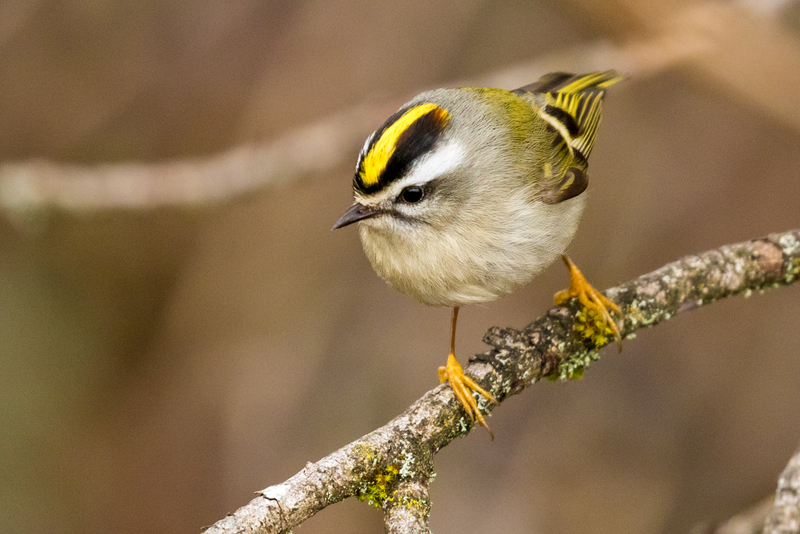 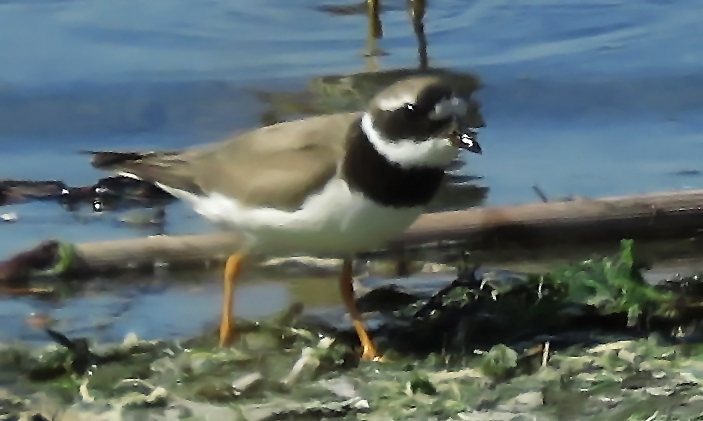 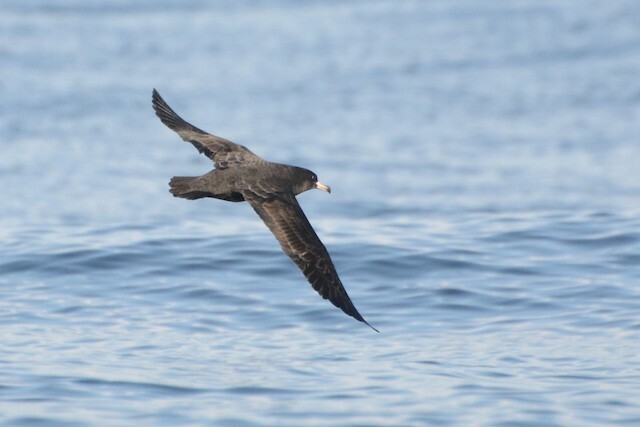 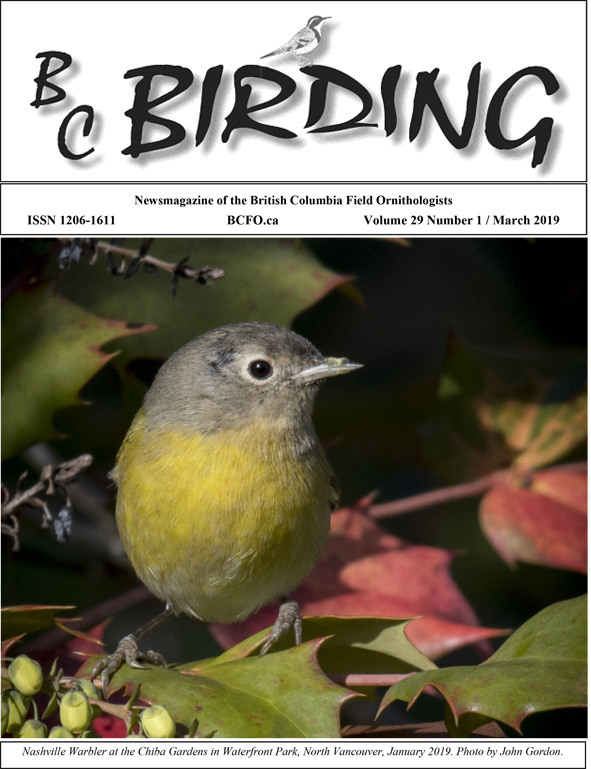 The March 2019 edition of BC Birding is now available via the members’ area. 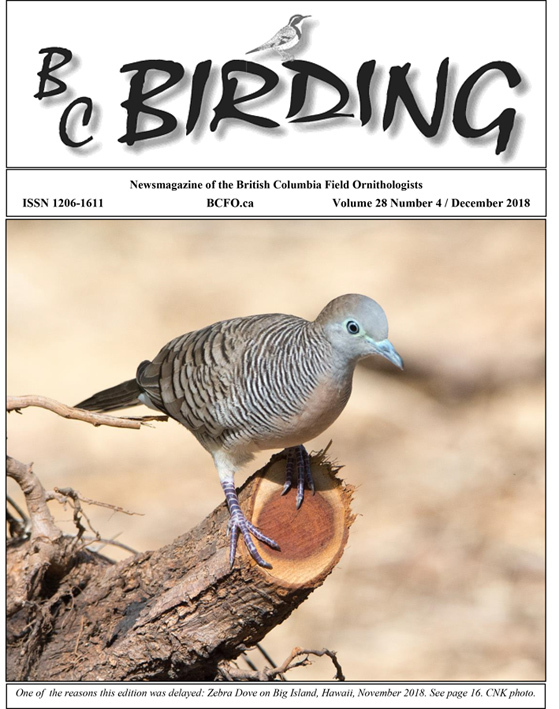 This 40-page edition includes some BCFO news and notices; details of the 2019 AGM and conference in Golden; Listers’ Corner; a cautionary but compelling tale from one of our Young Birders; reports on birding in the Amazon and Arizona, more than two dozen fine photographs from members; some pleasing Avian Encounters; and all the usual features. 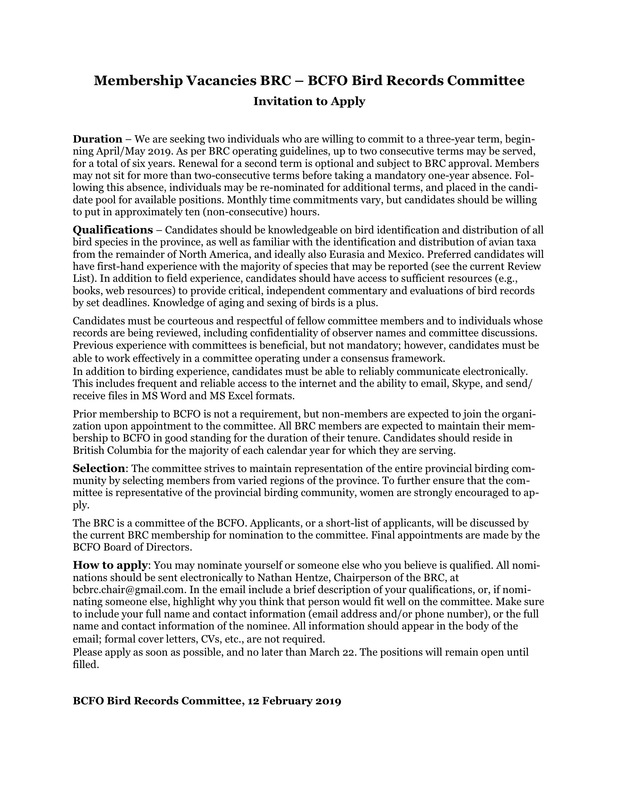 Hard-copy subscribers will receive the printed edition in due course.